Hello everyone, welcome back to another entry! Hope you had a nice week and get a good weekend of fun and rest. Today I will share some tips that it serves me and many patients to sport beautiful cleaner teeth. Dental hygiene is very important and it is the quintessential habit to take for a cleaner smile. I am going to list a to do list that will help you to achieve this white beautiful smile. The key word here is constancy. You cannot have a white smile and cleaner teeth the easy way. It demands discipline and constancy. You have to take it seriously if you want that perfect smile you see on celebrities. Aside from that, going to the dentist is necessary also. With just regular cleaning and checkups you will have cleaner teeth in no time. For cheaper dentists in Algodones consider visiting us in Dental Solutions. We have a dedicated staff of prepared professionals fluent in English. We have the best quality in dental services with the best prices available. Check our price list and contact us to start saving money in dental. Well, after saying this, lets jump right into the tips. We all know by now that brushing your teeth is mandatory for a good dental hygiene routine. I think is never enough to remind my patients to brush their teeth at least twice a day. Honestly, I do think that it is better to do it after every meal. That way you guarantee that your teeth will be clean and our breath will stay fresh. Never forget these rules and your teeth will be white as snow. After brushing your teeth you cannot forget to use dental floss. This little item is just as important as owning a toothbrush. There is no better way to get rid of those pesky food debris that get stuck between your teeth. Remember to be careful and gentle when brushing and flossing to avoid damaging your tooth enamel and gums. Slow and steady wins the race or so they say. Cleaner teeth means having good dental hygiene. That also means that you want to avoid teeth stains and you will be surprised how easy is that. The first thing to take in mind is to reduce certain foods and drinks. As a general rule you want to avoid artificial colorants and sugar. 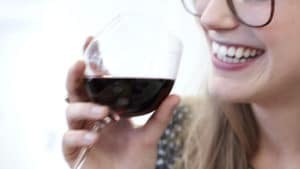 Some drinks like coffee and wine are dangerous for your smile. Do not abuse them and your teeth will retain its usual spark. Other bad habits like smoking are also really bad for your teeth. Not only stains them but they also put your health in danger. Cigarettes can lead to tooth loss and other diseases like cancer. So if you want good health and cleaner teeth you should consider to quit smoking as soon as possible. Another pro tip to cleaner teeth is to drinks lots of water. Water help you to rinse your teeth and help you to produce more saliva. Saliva also protects your teeth from bacteria and germs and at the same time keeps them clean. Now you now, keep these suggestions close to your lifestyle and embrace having cleaner teeth and a white beautiful smile.